The Senior Staff Association of Electricity and Allied Companies (SSAEC) has called for review and sanction of violators on electricity privatisation in the country. The President General of the association, Mr. Chris Okonkwo made the call in Enugu on Friday at its 4th Triennial Delegates Conference with a theme: `Privatisation and unionism, Nigeria Power Sector Experience’. Okonkwo said that the position of the senior staff association was that there should be a review on privatisation because they were given contracts but they did not abide by the contract. 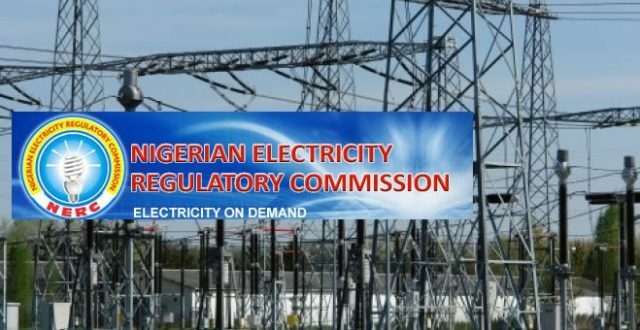 He urged the federal government to review the document on power privatisation to see if it had been violated, and sanctioned those who had violated it and reward those who had not. Okonkwo said that the essence of the conference was to bridge the gap between the workers and the management or owners of electricity companies. He said they wanted to use the opportunity to promote the spirit of workers and partnership between and among workers, the companies and owners to enhance cordial relationship. The president said that basically, privatization was seen as transferring of public facilities to private hands and incidentally those private were business people and unfortunately with bad mind set. He said that some of the private companies disengaged experienced people and hired younger ones without experience in the power sector adding that power sector was not a place for inexperienced people. According to Okonkwo, knowledge earned over the years cannot be dispensed just like that. The president expressed dismay at the way some of the electricity workers were treated by the private power companies noting that some of them worked in a very terrible condition. “Some of the workers were being handled like casual staff as most of them do not have provision for condition of service. “The workers are treated badly while some are being sacked anyhow, but some of the companies are beginning to understand that they must be involved in workers union to have a relationship with their staff. “That is why we engage on this award, to encourage our staffs who have distinguished themselves in selfless services for the betterment of the country,” he said. In his remarks, the President, Trade Union Congress of Nigeria, (TUCN), Mr. Bobboi Kaigama pointed out that they had gone through a lot of hardship, and the unions in the power sector had been able to survive privatization by the grace of God. He said that the various companies under electricity would know that there were people who had really sacrificed in making the industry grow. The trade union president said that Nigerians recognized that after food, water, air and shelter, the next thing needed was power. He urged government to privatize the sector in their year to year budget so that Nigeria could have constant power in no distant future. Subsequently, in a keynote address, former Permanent Secretary, Ministry of Power, Ambassador Godknows Igali said that those who manned the power sector were among Nigerians performing critical roles in the day to day survival of the country. Igali explained that electricity sector had for nearly 200 years became the most important determinant of the economic and social progress and material wealth of any nation. “It is very easy to know where a country belongs if they are to look at the pie chart of power availability and consumption of any nation,” he said. In a message to the conference, the Minister of Labour and Employment, Dr. Chris Ngige, who was represented by the Coordinator, National Directorate of Employment (NDE) in Enugu State, Mr. Sylvester Ogbe commended the union for the synergy among them.